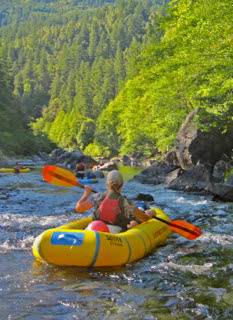 Save Our Chetco River: Chetco River Protection Act reintroduced in House! This legislative action would permanently protect the National Wild and Scenic Chetco River from large-scale, instream mining. such as the proposals submitted a couple of years ago that would have opened up 20 miles of the river to instream mining with 6 to 8 inch suction dredges. The bill would also make minor changes to the designated segment lengths to address recommendations made by the Forest Service. The "wild" and "scenic" reaches of the Chetco are currently segregated and withdrawn from new mining claims, subject to valid existing rights, pending a 5 year mineral withdrawal that has been recommended by the Forest Service. 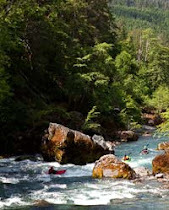 This administrative action can temporarily protect the river from instream mining, but only Congressional action can permanently safeguard the Chetco. Please take a moment to thank Congressman DeFazio and our other elected officials for reintroducing the Chetco River Protection Act.